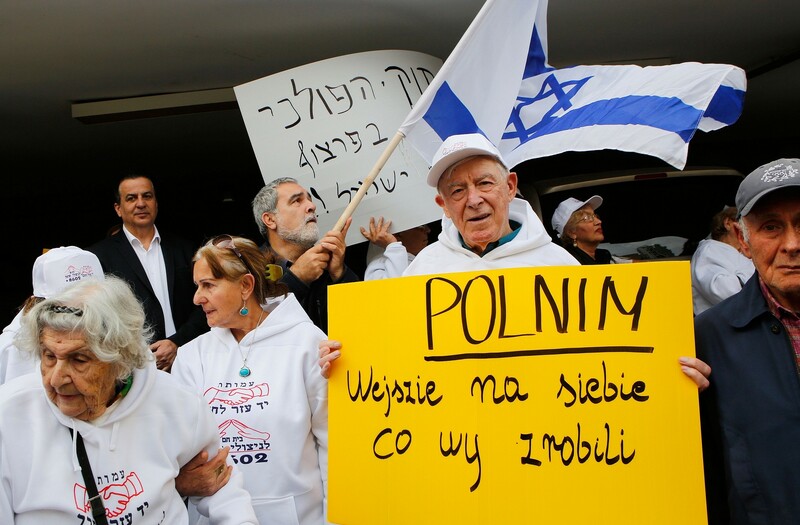 Israeli-Polish Holocaust law: Does It Defend Or Betray History? Does the Israeli-Polish Holocaust law agreement defend truth or betray history? 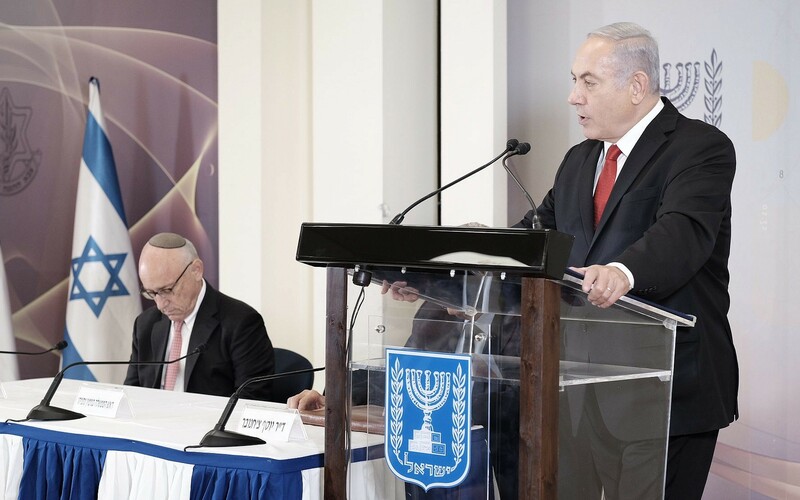 In October 2015, Prime Minister Benjamin Netanyahu blamed the World War II-era Palestinian mufti of Jerusalem Haj Amin al-Husseini for inspiring the Nazis to exterminate the Jews. The story made international headlines, with world leaders and Holocaust historians denouncing Netanyahu’s allegation as utterly inaccurate. Eventually, the prime minister walked back his incendiary accusation, clarifying that it was the Nazis and not the Palestinians who were responsible for the Shoah. Last week, the prime minister — the son of a historian and a self-declared history buff himself — once again waded into Holocaust-related controversy, though with much less international attention. 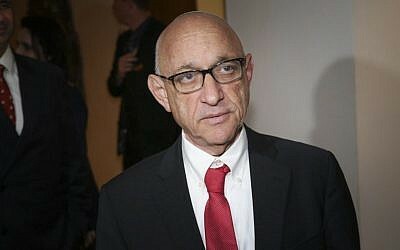 While Jerusalem feted the annulment of the law’s most problematic stipulations, a leading Israeli expert on the Shoah called a joint statement that accompanied the deal not only factually erroneous but also a “betrayal of the memory of the Holocaust,” motivated by mundane present-day political considerations. The argument over the agreement highlights Netanyahu’s complicated role as the global standard-bearer of the Jewish people and the memory of the Shoah who at the same time needs to engage in realpolitik to promote Israel’s real-world interests. 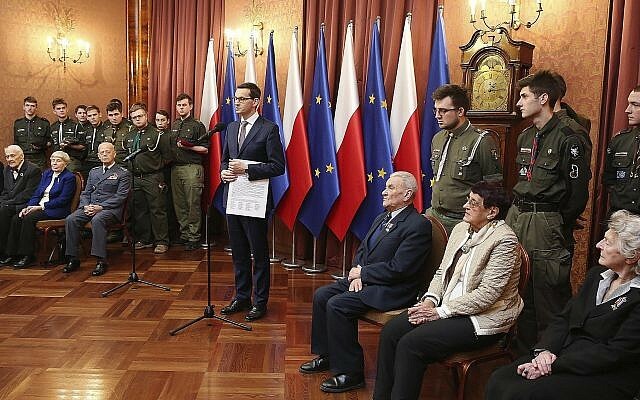 Minutes after the Polish parliament passed legislation to remove the troubling passages, and President Anderzej Duda signed it into law, the Israeli and Polish governments issued a joint statement on the Holocaust and Poland’s role in it. The highlighting of “numerous” instances of Poles rescuing Jews, while not quantifying the cases of Poles murdering Jews out of pure anti-Semitism, led critics of the deal to argue that Israel has in effect adopted Warsaw’s skewed narrative of the Holocaust. “It’s a betrayal. 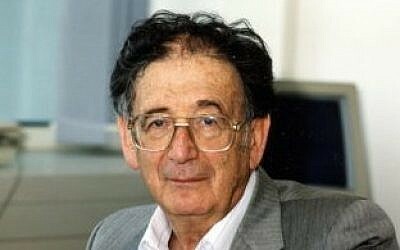 It’s simply a betrayal,” Yehuda Bauer, a professor emeritus of history and Holocaust Studies at Hebrew University and an academic adviser to Israel’s Yad Vashem Holocaust memorial, told The Times of Israel on Monday. While Israel managed to get Poland to annul the criminal sanctions, the controversial law still stipulates fines for individuals who accuse the “Polish Nation or the Republic of Poland” of having been complicit or co-complicit in the Holocaust, he noted. Far more problematic, from Bauer’s point of view, is that the joint statement suggests that Polish authorities and the Polish people were not guilty of anything during World War II. “It’s as if the Germans alone perpetrated the Holocaust and did not have allies and assistants,” he said. Poland was occupied by the Nazis, but the leaders of the Polish underground asked the London-based Polish government-in-exile not to express sympathy for the Jews as this would diminish its popularity, the Prague-born historian added. “Certainly not all Poles, but a majority of Poles, either took Jewish property, or killed the Jews themselves, or handed them over to the Polish police — which cooperated with the Germans and which is not mentioned with one word in the joint statement — or delivered them straight to the Germans,” Bauer said. “The joint statement doesn’t say the truth — that a great portion of the Polish people did this and a bold minority tried to rescue Jews — but the exact opposite,” he added. 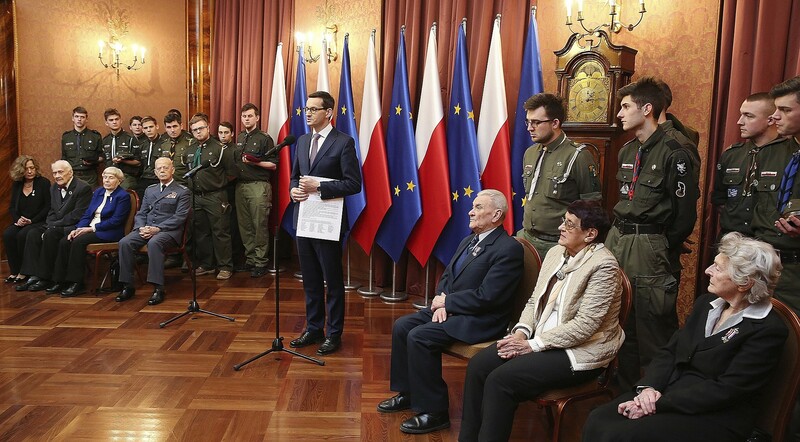 Bauer, 92, took particular umbrage with the statement acknowledging and condemning “every single case of cruelty against Jews perpetrated by Poles” during the war. Yad Vashem recognizes 6,863 Poles as Righteous Among the Nations, the highest number of any nation. Between 30,000 and 35,000 Jews were saved with the help of Poles — around one percent of all of Polish Jewry, according to Yad Vashem. The Foreign Ministry and the Prime Minister’s Office declined to comment on Bauer’s criticism. Yaakov Nagel, one of the two Netanyahu confidants who secretly negotiated the agreement with the Polish government, firmly rejected the veteran historian’s criticism. “He apparently didn’t read the statement, or he was maybe insulted that we didn’t consult him,” Nagel told The Times of Israel in an interview. 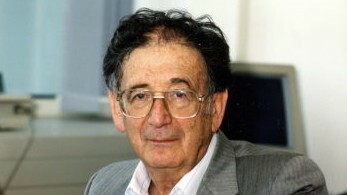 “If it wasn’t Yehuda Bauer, I would respond differently,” he added, suggesting that Bauer’s advanced age may cloud his judgment. “Here is a country that prides itself with having passed a law that they say will restore national honor, and half a year later they cancel it with their tails between their legs,” he said. Not even one of Bauer’s arguments is correct, Nagel insisted. He argued that the Polish law, which is formally called The Institute of National Remembrance – Commission for the Prosecution of Crimes against the Polish Nation Act, has existed for decades, and that the recent additions — paragraphs 55a and 55b — were removed at Israel’s behest. There were good Poles, and there were bad Poles. Period. It is true that those who accuse Poland of complicity can still be fined, but even Israel has civil laws against defamation, Nagel argued. 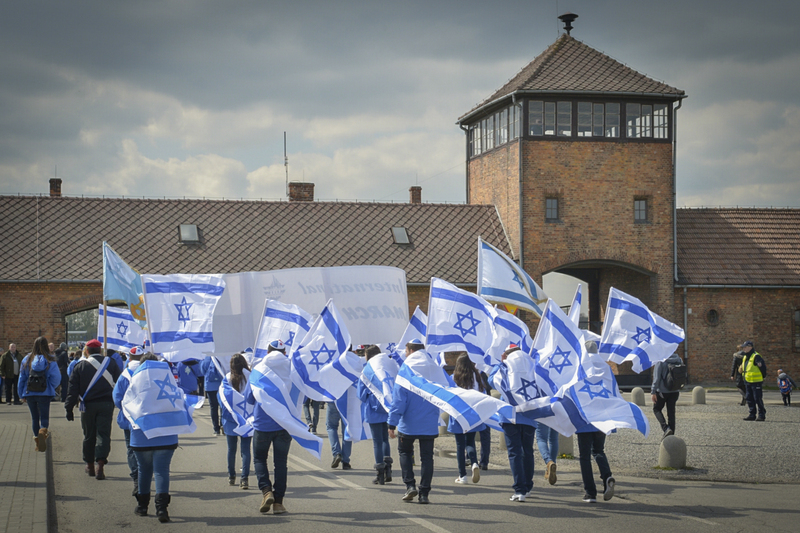 A former national security adviser, Nagel said he was not an expert on the Holocaust, but that Yad Vashem’s chief historian Dina Porat confirmed that the joint statement was historically accurate. According to a well-placed source, Porat was indeed involved in the secret negotiations with the Polish government but did not get to see the final draft of the statement. Yad Vashem, which issued a statement welcoming Warsaw’s annulment of the law’s controversial paragraphs, was disappointed about the wording of the joint statement, the source added. Porat did not reply to several requests for comment. A spokesperson for Yad Vashem said the institution is currently reviewing the various documents and may publish a statement in the near future. Holocaust historians may have liked to add a sentence or two about the extent of Polish anti-Semitism and Polish guilt during the Holocaust, Nagel allowed. But Yad Vashem confirmed that “everything we wrote in the joint statement is historically accurate,” he insisted. And what of Bauer’s complaint that the statement refers to “every single case” of Polish cruelty, making it seem as if these were isolated incidents? “There is no sentence stronger” than the one in the joint statement, Nagel argued, saying “every single case” could refer to millions of incidents. “There were good Poles, and there were bad Poles. Period. That’s history,” he said. No one has counted how many Poles saved Jews and how many killed Jews, he added. The joint statement did not go into numbers since it proved impossible to get Warsaw to agree to a wording that would have portrayed the Polish nation in a more negative light, he indicated.